In 1996, Dr. Ellen Beck established the UCSD Student-Run Free Clinic Project. At the time, the Free Clinic Project was focused on addressing the tremendous unmet need for accessible, quality health care for the underserved population in San Diego. With dental care being the greatest unmet health care need in the nation, it is no surprise that soon after the opening of the free medical clinics there was a need to expand the scope of care to meet the oral health needs among medical patients. With the help of a second year medical student named Keith McKlendin, and Eric Goldlust, an MD/PhD student at the time, Dr. Beck started the dental branch of the Free Clinic Project. The first dental patient was seen in our Pacific Beach Clinic in 1999. Soon after, the Baker Clinic was opened through a generous donation from the Ronald McDonald Charity. As the clinic grew and began to see more patients, the Free Dental Clinic Project established the UCSD Pre-Dental Society at UCSD, encouraging undergraduate students with a passion for dentistry to take on leadership positions within the clinics. 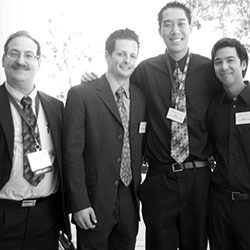 A year later, in 2002, after visiting the clinics and the Pre-Dental Society Dr. Irvin Silverstein became came aboard and reorganized the Student-Run Free Dental Clinic Project and became the advisor of the UCSD Pre-Dental Society. During the Same year the Downtown Clinic site was opened. The Student-Run Free Dental Clinics have evolved tremendously since that first night in Pacific Beach in 1999. With the leadership and guidance of Dr. Silverstein and the efforts of the Student Director at the time, Brock Lorenz, the Pacific Beach clinic was renovated into a the fully operational three chair dental clinic it is today. By the dedication and tireless efforts of many undergraduate pre-dental students the Baker and Downtown clinics have been maintained and continue to deliver quality comprehensive oral health care to the underserved population of San Diego. Inspired by her work in the Student-Run Free Dental Clinics as an undergraduate, Dr. Sussi Yamaguchi became the First Dental Fellow for the UCSD Pre-Dental Society (UCSD PDS) and Student-Run Free Clinic Project in 2006 after graduating from the University of Pacific School of Dentistry. She still practices in the free clinics today. In 2010, Dr. Randy Taylor, a former PDS member as well, became the second Dental Fellow after Graduating From Arizona School of Dentistry and Oral Health. (ASDOH) The newest additions to our staffed dental team are Dr. Samson Yang and Dr. Megan Lorenz. It comes at no surprise that they were both past PDS members as well. 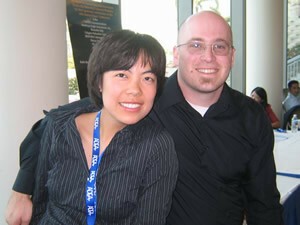 Both Dr. Yang and Lorenz graduated from ASDOH. The newest Student-Run Free Dental Clinic, in partnership with Lemon Grove Academy of Sciences and Humanities, was opened in 2012. This clinic opened as a two-chair school based clinic that aimed to bring access to quality comprehensive dental care to the children of the elementary and middle school student population of the Lemon Grove Academy. This clinic has provided a dental home for many children who would otherwise be without access to dental care. By fall of 2013 this clinic will have expanded to a six chair clinic with the hopes of extending our outreach beyond the population of the elementary and middle schools and into the surrounding community of Lemon Grove, CA. Over the years the UCSD Pre-Dental Society and Student-Run Free Dental Clinic Project has been recognized for its leadership and diligent efforts to bring access to quality oral health care and education to the communities of San Diego and beyond. See our awards and recognitions!